Available for sale is Infinity Gauntlet #1 in CGC 9.8 condition. 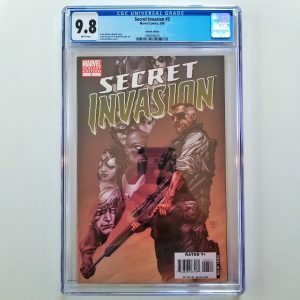 This comic was signed by Thanos creator and Infinity Gauntlet writer, Jim Starlin on 9/25/15 as a part of CGC’s Signature Series. 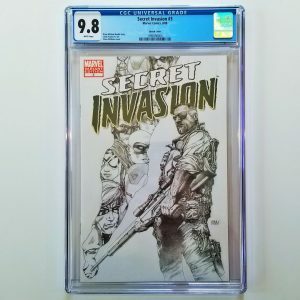 This means that an authorized witness from CGC was on hand to oversee Mr. Starlin’s signature on this very comic. According to the CGC Census, there are only 370 issues of this comic currently signed and graded at 9.8 – making this a hard to come by comic. 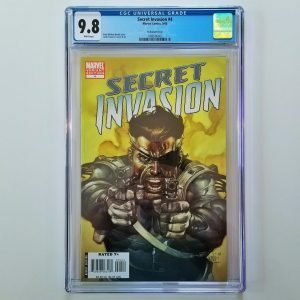 The graded comic listed here recently sold for $300.00 shipped on my eBay store. Click here to find others like it! Available for sale is the matte version of Rai #0 graded by CGC in 9.8 NM/M condition featuring the first full appearance of Bloodshot. With the Bloodshot movie now in production, demand (and thus prices) are starting to increase for related key issues like this one. Add this hot slab to your comic collection today! Available for sale is the Clayton Crain Trade Dress Variant of Return of Wolverine #1 graded by CGC in 9.8 NM/M condition. This variant was produced in conjunction with Scorpion Comics and CK Elite with a print run of just 3,000 copies. According to the CGC Census three total copies graded in 9.8 condition. Grab this hard to find, high grade comic today! 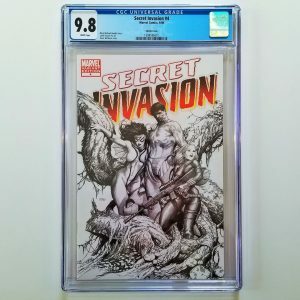 Available for sale is the Clayton Crain Virgin Variant of Return of Wolverine #1 graded by CGC in 9.8 NM/M condition. This variant was produced in conjunction with Scorpion Comics and CK Elite with a print run of just 1,000 copies. 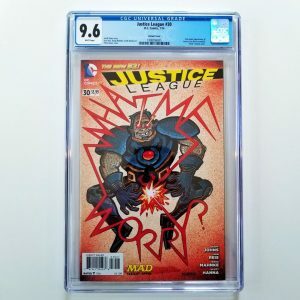 According to the CGC Census there are only 4 total copies of this variant graded in 9.8 condition. Grab this hard to find, high grade comic today! Available for sale is the Francesco Mattina Trade Dress Variant of Spawn #280 graded by CGC in 9.8 NM/M condition. This variant was produced in conjunction with Scorpion Comics (USA) and Scott’s Collectables (UK) with a print run limited to just 666 copies. Todd McFarlane himself collaborated with Mattina on this cover, so you know it’s good! Grab this hard to find and highly collectible slab today while you can, it won’t be here for long! The slab listed here is currently out of stock. Click here to find one on eBay.